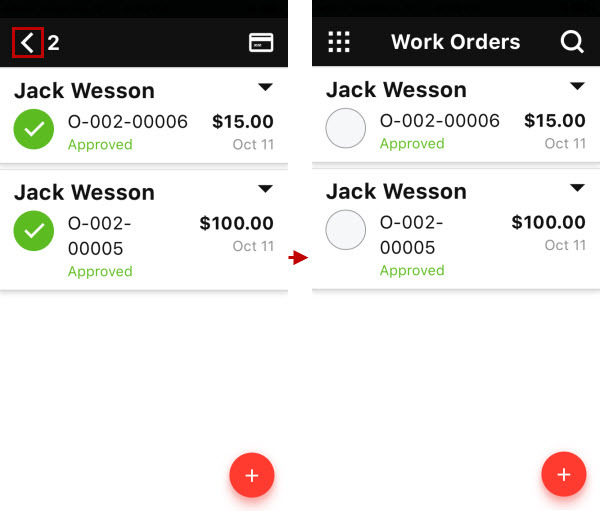 On the Home screen, tap Work Orders. 2. 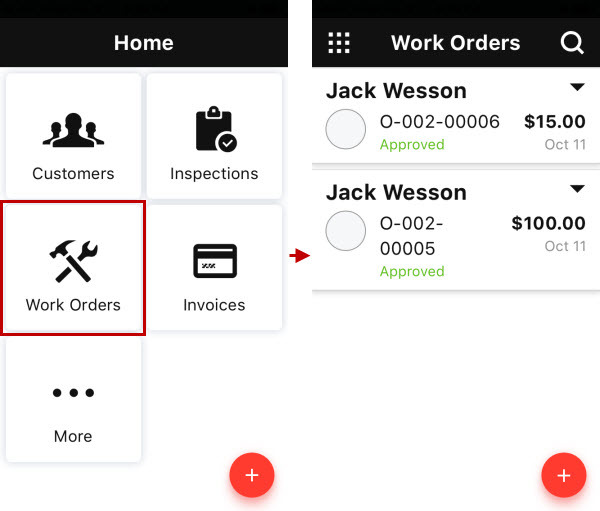 On the Work Orders screen, tap the circle next to the appropriate work orders created for the same customer, and then tap the Create Invoice icon in the upper-right corner of the screen. 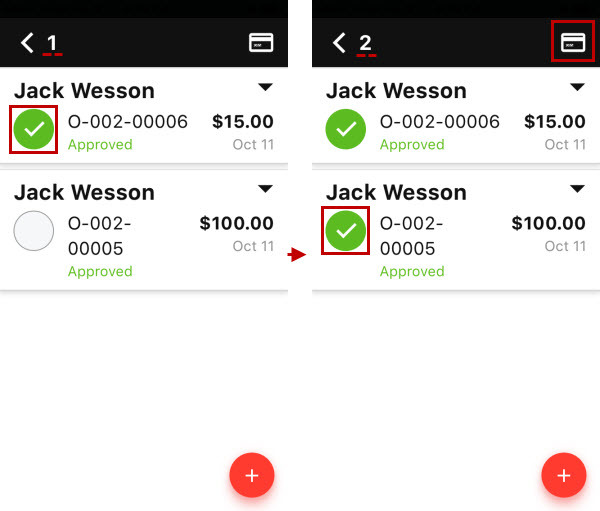 Note There is a counter of selected work orders in the upper-left corner of the screen. Tip You can tap Left Arrow to clear the selection. 3. 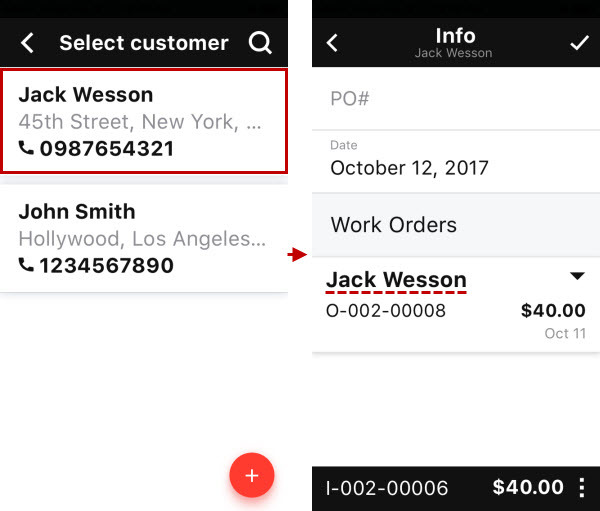 On the Info screen, if needed, type purchase order number in the PO# box, and then tap Save. Note The total amount shown on the Info screen is the summary amount of all included work orders. 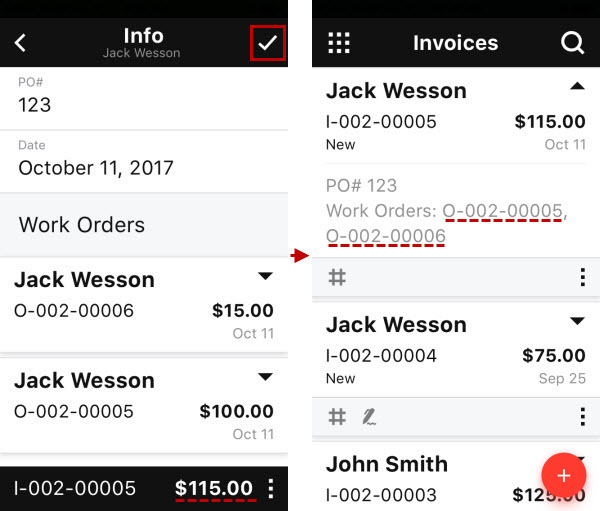 The numbers of included work orders are shown in the invoice details on the Invoices screen. 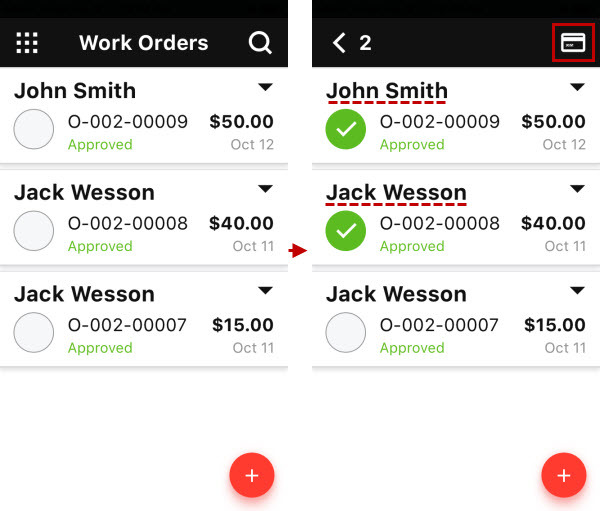 …you will need to choose one customer whose work orders will be included to the invoice.